Anyone who has stayed in one of Tenerife's purpose built resorts may have the impression that the only things to buy on the island are fake football shirts, swimwear, cameras at knock down prices, honey rum, lace doilies and Mount Teide shaped candle holders made from lava. Clearly these aren't items aimed at the resident population. The fact is the best place to get in some quality shopping therapy on Tenerife isn't usually in a purpose built tourist resort. 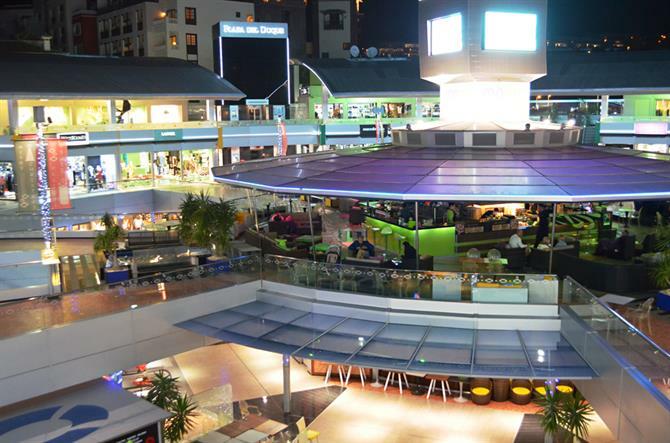 In recent years, stylish shopping centres have sprung up in the upmarket areas of Playa de las Américas (and yes, before anyone scoffs, this pariah of tourist resorts does have an upmarket area) and Costa Adeje. Centres like the Safari Centre and Plaza del Duque include the best of Spanish mainstream fashion chains (Stradivarias, Zara etc.) as well as glitzy designer shops with the sort of clothes that if you have to ask their prices, you can't afford them. Most of the bigger traditional towns also have shopping centres featuring much of the same names. 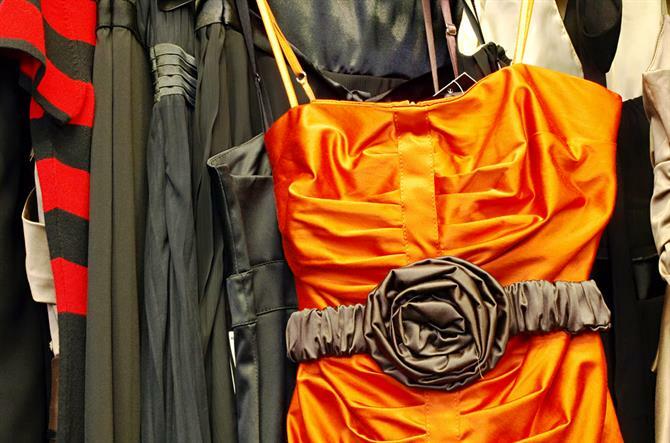 For some truly original designs at prices that are more affordable, locals head to towns usually connected with tradition and history for sleek and chic little party numbers. The UNESCO World Heritage Site that is La Laguna's old quarter is not only home to wonderfully eclectic architecture and tempting tascas, it's also ideal for some individualistic shopping. Surprisingly, Tenerife's fashionista central is actually located somewhere most visitors breeze through just to have a look at an old tree. Icod de los Vinos is known to tourists as home of the Millennium Drago and to those in the know as home of bijou fashion outlets who get their glittering stock straight from Paris and Milan. It amazes me how those small electronic shops you find every few yards in main tourist centres continue to thrive. When I first moved to the island I could buy cameras on Tenerife that cost the same figure in Euros as it did in pounds. It was a good deal. Now models aren't always as up to date as in Britain and prices aren't so attractive. Apart from that, there's the big issue of trust and confidence in making a purchase from somewhere you don't know... and what happens if you want to change your purchase. When I'm buying camera equipment or upgrading my TV, I do so in a reputable store where Canarios shop. Complaints about electronic shops are recurring themes on travel forums so, to cut down the possibility of disappointment (that's the diplomatic way of putting it), look out for known chains such as Visanta, Media Market, El Corte Inglés and Worten. The island's hypermarkets can be good hunting grounds for electronics as well and you can pick up good value TVs, cameras, laptops etc. in Al Campo in La Laguna and La Orotava. Supermarkets are convenient with the best ones stocking a wide range of familiar and exotic fruit and veg. My local supermarket had oreja de Judas (Judas' ears) mushrooms this week as well as dragon fruit. Better though is to head to a local agricultural market. 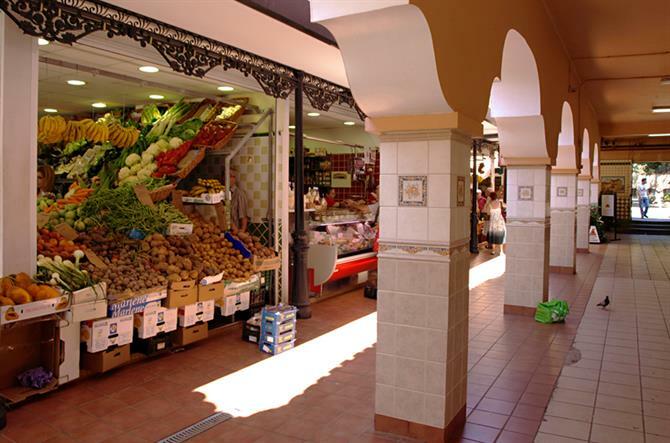 Most areas in Tenerife have a farmers' market, although the ones in the north tend to be bigger than those in the south. The downside is that many are in off the beaten track rural areas. More accessible, and interesting to visit whether buying or not, are the big markets in La Laguna and Santa Cruz. La Laguna's sits beside sprawling Plaza del Cristo and is open every day except Sunday until 3pm. This is the place to buy perfect vegetables, aromatic spices and salted fish. The queen of Tenerife markets is Nuestra Señora de Africa in Santa Cruz. Despite its name and Foreign Legion desert outpost looks, it doesn't really have anything to do with Africa. But that doesn't matter, it's a picturesque and bustling market packed to the gunwales with stalls selling fruit, vegetables, meat, fish, flowers, herbs, spices and cheeses. Like La Laguna, it's open daily till around 3pm. There's not a lot of chance of finding something unique in a 'ten a centimo' tourist shop. The number one spot to buy quality handicrafts that aren't massed produced is to visit the Pinolere craft fair held in the upper Orotava Valley each September. Craftspeople from across the Canary Islands, Spain and South America converge on the site of the Ethnographic Museum to exhibit and sell their creations. This information isn't much use to anyone who isn't on the island during early September; no worries, there are other options. There is a mini 'Pinolere' each Sunday at Plaza Europa in Puerto de la Cruz. If you fancy a wine flask in the shape of a goat, this is the place to find it. 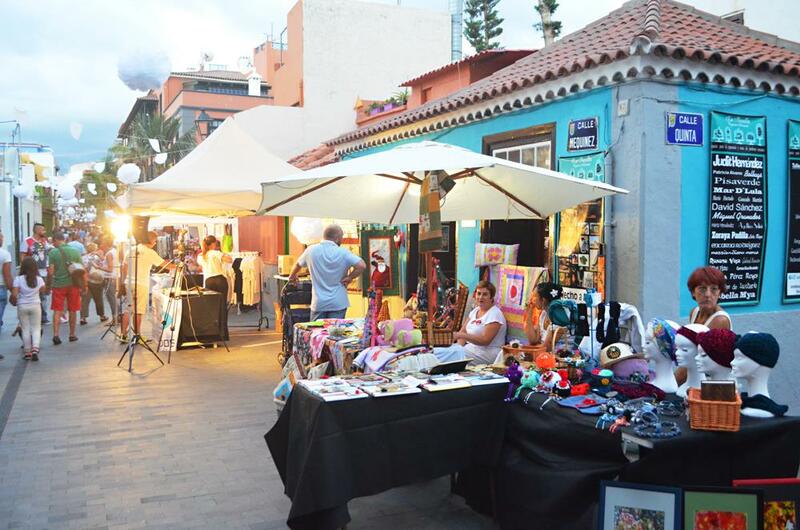 Alternatively, La Ranilla Espacio Artesano on Calle Mequinez, also in Puerto de la Cruz, acts as a showcase for the most creative of local artisans. Workshops and markets are regularly held outside the small historic cottage in the town's fishing district, making it perfect present buying territory for anyone on the lookout for local gifts with a difference. Generally speaking, supermarkets aren't great places to buy local wines. Apart from Al Campo, the main ones stock a very limited selection of local vinos, usually consisting of brands most people are likely to know. Apart from arranging a visit to individual bodegas, a good place to try before you buy is the Casa del Vino located in a colonial farmhouse in El Sauzal (open till at least 6pm, closed Monday). As well as being a wine museum, there's a tasca and a shop selling various other local products like honey and cheese. 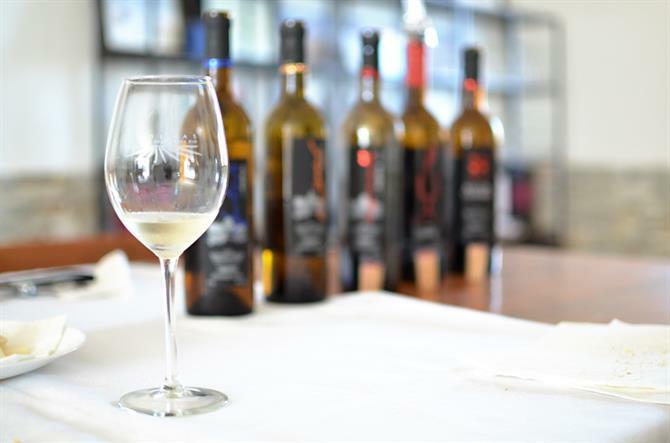 If visiting one of Tenerife's bigger traditional towns or cities (Santa Cruz, La Laguna, Puerto de la Cruz, La Orotava) an enjoyable way to get to know the local vino is to seek out a vinoteca. These specialist wine shops normally sell tapas as well. Quaffing a few glasses accompanied by pintxos whilst stocking up on wine is a far more stylish and enjoyable way of doing it than just picking bottles off a supermarket shelf.